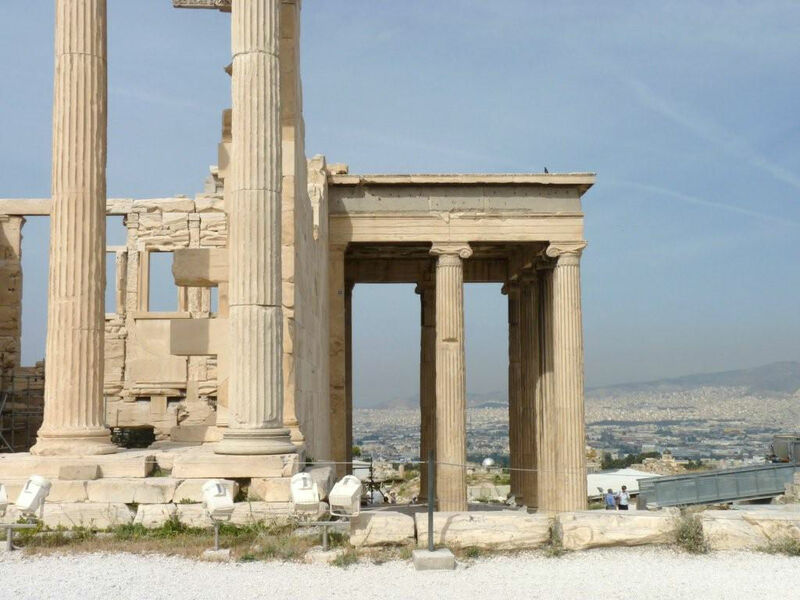 Join your yacht in Athens, unpack and relax as you begin your cruise to Kea, a 40-mile steam. 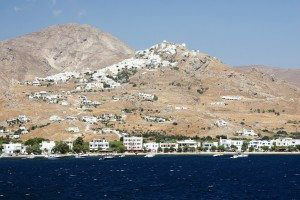 The exceptionally picturesque island of Kea lies 15 miles from the southeast coast of Attica. 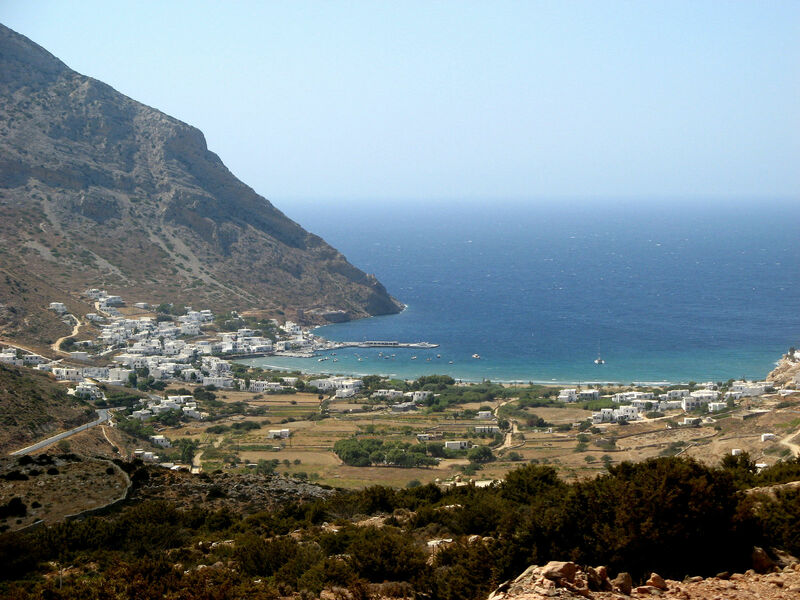 The mountain masses that are encountered in most of the Cyclades are broken up by small valleys sparsely planted with vines and fruit-trees and run right down to the sea, opening out into pretty little bays. 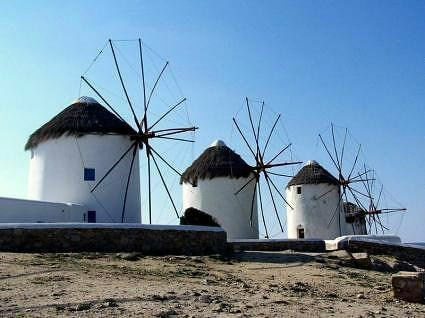 Cruise to Tinos, the “Holy Island of the Cyclades.” The island is the site of the Church of Evangelistria, which houses an icon of the Annunciation that draws thousands of Orthodox Christians on the feast day of August 15th. There are plenty of good beaches, too, notably at Agios Fokas near the town, Kionia, Porto, Panormos Bay, Kolimbithra, Agios Sostis and Pahia Amos. The lunar-type landscape at the spot known as ‘Volax’, with its peculiar boulders, is extremely unique and well worth a visit. No one should leave the island without having purchased, or at least tasted, high-grade cheeses like “Kopanisti” and “Mitzithra”, which are made locally. Visit the excavated ruins, such as the Avenue of the Lions, the theater, and many one and two-story houses with mosaic floors, like the House of the Trident. A flight of steps ascends the island’s summit, Mt. Kynthos, the birthplace of Apollo. As a visitor you can admire most of these finds wandering around Delos sanctum and visiting the island’s archaeological museum. 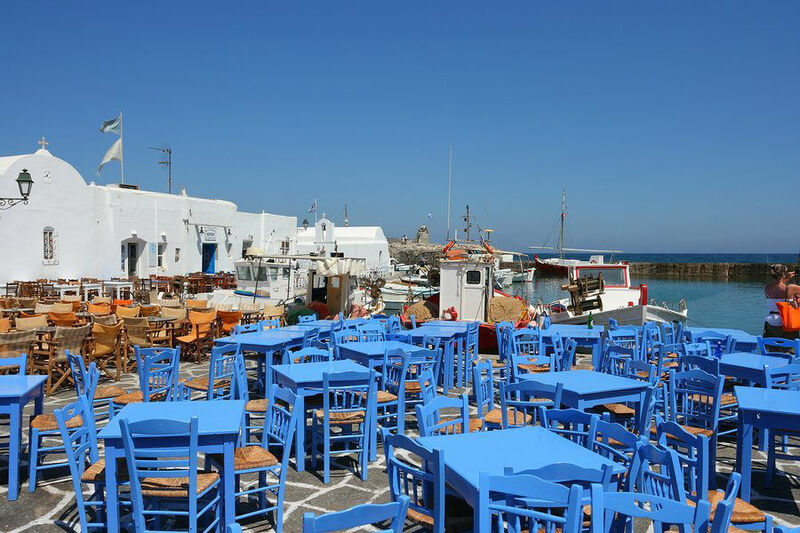 Paros is the third largest of the Cyclades after Naxos and Andros and has developed into an important center of tourism in recent years. 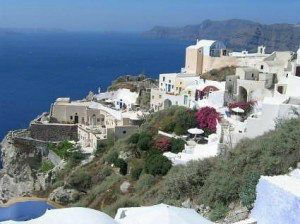 Gently rolling hills surround the center and southeast of the island, which is occupied by endless vineyards. The Monastery of Katapyliani is located in a wooded park just up the road from the harbor. 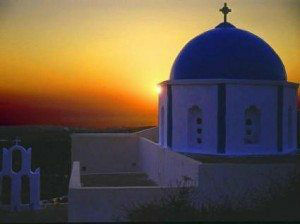 Its name means “Church of a Hundred Gates” and is one of the most important Christian monuments in Greece. Paroikia (or Paros), the island’s capital and port, stands on the site of an ancient city. There is a picturesque and ruinous Venetian castle and the courtyards of the houses of the town – all of them painted white – are full of hanging pots of basil, jasmine and honeysuckle. Among the beaches near Naoussa, special attention should be made of Kolibithres where huge rocks eroded into strange shapes reminding the visitor of sculptures embedded in the sand. Anchor off Langeri, a secluded sandy beach, or Drios beach, which happens to have a fabulous fish taverna where you may want to have lunch. 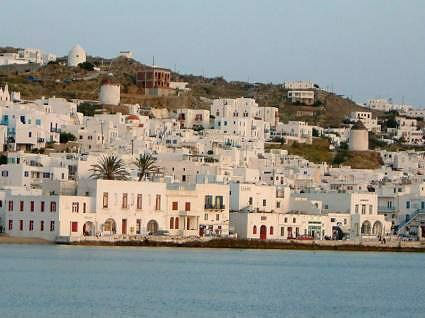 Ios, which is locally called Nios, is an island whose history goes back to prehistoric times. According to Herodotus, the “poet of poet’s”, the ‘godlike’ Homer was buried at Plakotos, in the north of the island and Pausanias tells us that there was an inscription at Delphi confirming the poet’s interment on Ios. The sites of Ios include a Hellenistic tower and the remains of an ancient aqueduct at Agia Theodoti, traces of an ancient temple at Psathi, a ruinous Venetian castle at the spot known as Paleokastro, and the Hellenistic tower of Plakotos. From the gulf of Thera boats can take you to Nea Kammeni. There you can see the volcano’s crater where hot air and sulphuric steam still rises. The land is warm and you should wear athletic shoes and have plenty of water. Hot springs exist at the nearby Palia Kammeni where the sea is bright blue. 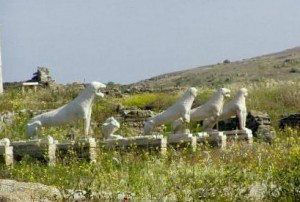 The first inhabitants of Sifnos were the Kareans and the Phoenicians. The island was famous in ancient times for the wealth, which came from its gold and silver mines and the quarries of Sifnos stone. 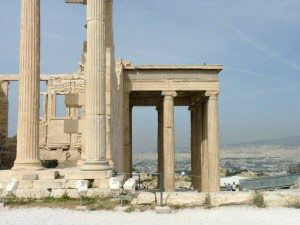 It enjoyed great prosperity in Classical times, as can be seen from its Treasury, dedicated to Apollo at Delphi. Kastro, (3 Km from Apollonia), Sifnos’ capital from the 14th to the 19th century, retains some of its medieval character. It is built on a rocky outcrop with an almost sheer drop to the sea on three sides. There are Venetian coats of arms and ancient wall fragments in some of the older dwellings. There is also a small Archaeological Museum, which exhibits a collection of Archaic and Hellenistic sculpture of ceramics to the Byzantine era. There are clean and attractive beaches all over the island. Platygialos is a large sheltered beach, Vathi is one of the most beautiful beaches in Greece with fine sand and Apokofto is a sandy beach with a rocky shelf near Chrysopigi. Herronissos is another traditional fish village situated on the north part of the island. 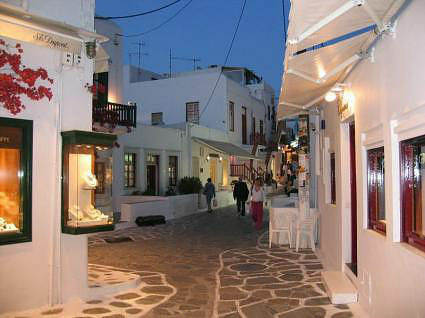 Herronissos is well known for the handmade ceramics, which are produced there. As your vessel glides into the port of Livadi you’ll catch your first glimpse of the towering hills of Serifos flecked with the white, sugar-cube houses of Chora! The curious rock formations resemble human figures, which call to mind the myth of Danae, Perseus and Medusa, as if these prehistoric inhabitants of the island had been turned to stone. Perseus, the mythological hero that killed the medusa, the terrible monster with a woman’s face and hair as serpents was born on this island. The fortress-like monastery Moni Taxiarchon near the village of Galani, which houses some fine wall paintings and important books and manuscripts, is of special interest. The village of Panagia commands a panoramic view of the whole island. The greatest attraction of Serifos is its magnificent beaches. The beach of Psilli Ammos, which lies about 2 km to the east of Livadi, beckons with the softest and whitest sand. Close to the monastery of Moni Taxiarchon, there is a small village on the north coast named Platis Gialos with Platis Gialos bay, which consists of about three rather small beaches. Sightseeing on Kithnos involves the Church of Panagia Flambouriani, which stands in the village of Flambouria, southwest of the town of Kithnos. According to tradition, there are traces from the steps of the Virgin all the way from the beach to the church. In summer, lilies blooming in the area give off their sweet smell. In the souvenir shops, one can find beautiful folk art objects, shells, leather products, ceramics and wood-carved objects, as well as woven fabrics with beautiful designs, in vivid colors. 50-mile steam back to Athens from Kithnos where you will disembark.